There has been a revival in recent years of the work of Stella Gibbons. 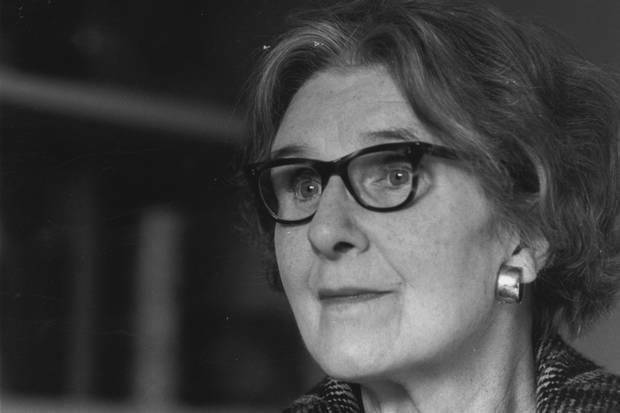 Best-known for her satiric first novel, Cold Comfort Farm, the winner of the Femina Vie Heureuse Prize in 1933, Gibbons also wrote over 30 other novels and collections of short stories. Vintage and Virago have reissued several of her charming books. I very much enjoyed The Rich House and Westwood. 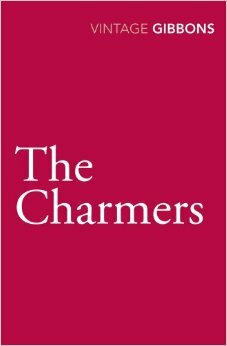 I recently read The Charmers, first published in 1965, a small gem reminiscent of the comedies of Barbara Pym. This gently humorous novel has a middle-aged spinster heroine, Christine Smith, who has lost her office job of 30 years during a “reorganization” of the firm. While her parents were alive, she lived at home and was a slave of their electric appliances, spending her leisure buying new toasters or taking them in for repairs. Finally free to live on her own, Christine finds a job as a housekeeper for a group of middle-aged artists. Christine’s married sister tries to persuade her to give her live-in flat to her son and his wife, who, she says, need the flat more than Christine. This is typical of her family’s treatment of Christine. Christine is fascinated by her charming new employers, who have divided the house into five flats and are sharing expenses: Mrs. Fabia Traill, who has had four husbands, illustrates stories for women’s magazines; Clive Lennox, a famous actor, is relieved at his age to land the “second lead” in a new Noel Coward play; glamorous, single Antonia Marriott is a top fashion designer; and Diana Meredith is a dilettante potter who spends most of her time shopping, while her charming husband James potters about. Christine blooms in the atmosphere of Pemberton Hall. She enjoys the artists’ gossip at meals and the contrasting peace of own her little flat at the top of the house. She is horrified when Mrs. Traill offers her a TV. Christine’s parents had cared more for characters on TV than they had for real people. Then there is Clive’s sloppy 17-year-old daughter, an aspiring actress who dresses in jeans and boots. The adults cannot understand her appalling boho dress sense. Gradually she is transformed by a dress designed by Antonia’s boss. Through charming descriptions, pitch-perfect dialogue, and scenes that highlight the relationships among these very different people, Gibbons has written a small perfect book. It is easy to lose yourself in almost-classics. You can become so absorbed in the engaging novels of Dodie Smith and Rumer Godden that you absent-mindedly forget to take a cake out of the oven, or. break a date to see Cake (an underrated movie with a very good performance by Jennifer Aniston). Stella Gibbons is an equally compelling writer. 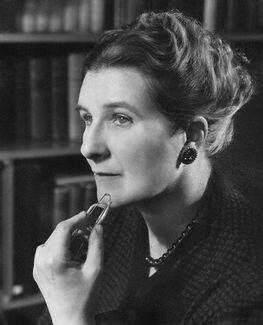 Best known for her satire Cold Comfort Farm, she wrote several other books that were reissued by Vintage Classics in 2011. I recently read Gibbons’s The Rich House, a warm, witty novel in which she describes the loves and losses of an ensemble cast of characters in a seaside town: a pretty young bank clerk who is overshadowed by her actress sister, a fish shop clerk with a zest for geography, a library clerk who loses her job, a retired famous actor, a vain hotelier, and more. 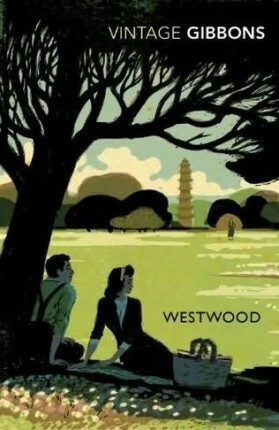 I have just finished Gibbons’s 1946 novel Westwood., and can scarcely express how much fun it was! The narrative flows smoothly, there are some surprisingly poetic descriptions of London, and the characters are so odd and charming that one can’t wait to see what they will do next. Set during World War II in a London beset by bombs and air raids, this engaging novel follows the fortunes of Margaret Steggles, a plain, earnest, talented if uninspired teacher who has found a new job in a school in London. Teaching is not her vocation, though she is an expert at conveying knowledge to the young. She is thrilled to be moving from Lukeborough, but longs to do something more glamorous, perhaps get involved in the art scene. Her adventures begin when she finds a ration book on Hampstead Heath that belongs to Hebe Niland. Margaret wonders if Helbe is related to the famous artist, Alexander Niland, and when she returns the ration book, she learns that Hebe is indeed his wife. Hebe immediately takes advantage of the awed Margaret by asking her to babysit for her two children until Grantey, Hebe’s old nurse, shows up. Good-bye, Margaret Steggles, and don’t murder my children. Good-bye, honeybunch,” said Mrs. Niland, addressing the baby. Margaret smiled and tried to sound gay as she said, “Good-bye!” A second later she heard the door slam. At the same instant the baby burst into tears. Throughout the novel, Hebe takes advantage of Margaret by coercing her to do free child care. Margaret is willing to be Hebe’s slave, because it turns out that she is the daughter of Gerard Challis, a famous playwright. And the Challises live in a big house called Westwood, very near the house where Margaret lives (she can see it from her bedroom). She meets the Challises, and befriends Zita, an excitable Jewish refugee maid who teaches Margaret about classical music. The two young women spend many evenings in a sewing room listening to music on the radio. Much of the attraction of Westwood has to do with glimpsing the handsome Mr. Challis from a distance or having brief encounters with him. His wife is much more charming than he is. And unbeknownst to Margaret Mr. Challis has “spiritual affairs” with beautiful young women, and is currently flirting with her best friend Hilda, who thinks it’s a scream that a man in his fifties has a crush on her and pays him very little attention. Mr. Challis darkly wishes to run off to South America with her, but she is more interested in her soldier boyfriends. Margaret hopes for romance, but she only gets kisses. At a wild party at the Challises, she ends up on the roof kissing two men. And after learning about manners and dress at Westwood, she has become not only prettier but easier in her manner and a better teacher. This is not the kind of comedy that ends in marriage. Of course she would like to marry, but she has friends, kisses, and a career. This is a very satisfying, entertaining novel. I can’t wait to read more Gibbons.